Jurgen Klopp believes that players no longer plan to ‘use’ Liverpool as a stepping stone to bigger and better things. Before the German joined, we lost the likes of Xabi Alonso, Javier Mascherano, Fernando Torres and most famously Luis Suarez, while Coutinho also exited in January when Barcelona came knocking. But Mo Salah and Roberto Firmino have signed lengthy contract extensions this summer and Sadio Mane looks set to follow suit, while Virgil van Dijk, Naby Keita, Fabinho, Alisson and Xherdan Shaqiri all signed in 2018 – proving Liverpool is indeed a destination for top talent. “When I speak about the good mood in the club, that is not only in the stands. We are Liverpool as a team and the boys want to be part of it,” Klopp said, reported in ESPN. The boss also indicated that we’re unlikely to buy another playmaker, suggesting a direct replacement for Coutinho is more or less impossible – and that the current squad is good enough to cope without him. “We don’t need to replace Phil. We need to make a squad for the next year. 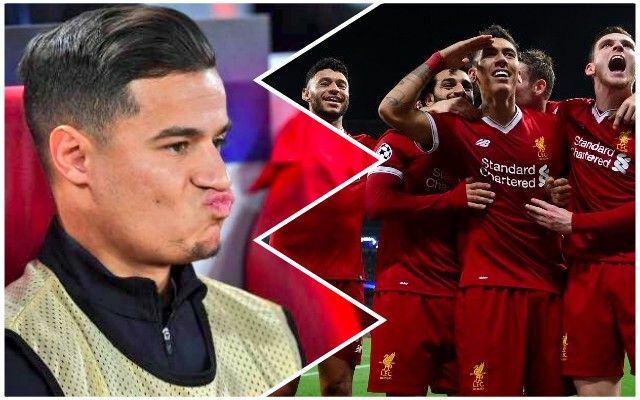 Out there on the market, there isn’t a Phil Coutinho-light. It’s not there. But there are a lot of good players and we have brought a few of them in,” Klopp continued. With Shaqiri capable of playing as a central attacking midfielder, we do have another option in his role, although we do feel that there’s little cover for Sadio Mane on the left – with Roberto Firmino and Adam Lallana quite poor on this flank in our opinion. Still, we trust completely in Jurgen Klopp’s vision and are looking forward to seeing it come into fruition this campaign.